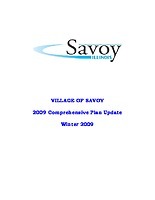 CCRPC is working with the Village of Savoy to update their Comprehensive Plan, which was previously updated in 2009. 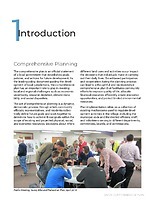 The comprehensive plan is an official statement of a local government that establishes goals, policies and actions for future development. As the leading policy document guiding the development of local jurisdictions, the comprehensive plan has an important role to play in meeting local and regional development challenges now and in the future. Thanks to those of you who were able to join us at the Public Workshops on Thursday May 17, 2018 and Thursday November 15, 2018 at the Savoy Recreation Center.